Do you have a waiting list, if so, how does it work? Yes, we do have a waiting list for all age groups. There is a $50 non-refundable waiting list fee that will act as the enrollment fee the first year the child is enrolled in the program. In a waiting list situation, a child with special needs receives preferential enrollment. NEEC also offers preferential enrollment, secondary to children with special needs, for siblings of children currently enrolled. Children of NEEC employees are given third priority for placement. Other enrollment criteria include the date the child was placed on the waiting list, our ability to meet the scheduling needs of the family and our ability to meet the specific needs of the child. The Program Director makes final enrollment decisions and will be in contact with the family. Families on the waiting list are encouraged to have another option for early education/preschool placement in case NEEC is unable to meet the REQUESTED start date. Placement cannot be guaranteed until one month prior to availability. Do you accept childcare subsidies? Yes, families should contact the Missouri Department of Social Services to determine eligibility for childcare assistance through the Division of Social Services. If eligible, NEEC would receive payment directly from DSS. Parents/guardians are responsible for paying the difference between the tuition rate and the amount paid by DSS. NEEC currently has scholarship opportunities available for families of children with special needs who meet certain financial qualifications. Please call the Program Director for more information. 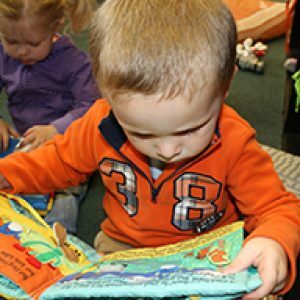 Do you offer part-time early education? 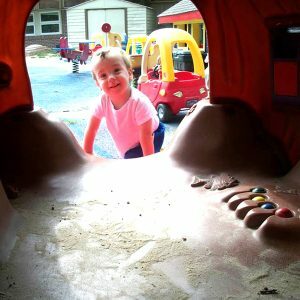 We offer part time early education for children ages 3-5 years old. This is our community inclusion program which offsets the Public School districts early childhood program. This program varies with the district’s schedule. Please call NEEC for more details regarding the scheduling of this program. The fee for this service is $140/month. Is there a discount for more than one child attending NEEC? At this time, there is no discount for siblings enrolled in our program. Is the cost of lunch and snacks in the weekly tuition? Yes, the cost of lunch and snacks is included in the weekly tuition. Lou’s Catering provides lunch daily for all of the children eating table food. The food is delivered every morning. Our kitchen manager follows the Missouri Department of Health Food and Nutrition guidelines when preparing and serving the food. All classrooms participate in family-style meals, children serving themselves and teachers sitting with them. They practice the use of table manners and healthy eating habits. What do you serve for lunch and snacks? All meals and snacks provided by NEEC meet or exceed nutritional recommendations of the Missouri Department of Health. NEEC is a participant in the Child and Adult Care Food Program. NEEC provides a morning snack (equivalent to breakfast), an afternoon snack, and lunch for children 12 months and older. We do not offer children whole hotdogs, whole grapes, popcorn or raw carrots. Peanut butter and other nut products are not allowed in the building. For infants, parents have the option of using infant formula and baby food offered by NEEC. If parents choose to serve their children breast milk, or a different brand of formula/baby food, they must provide this at their own cost. Do you have a before/after school program? 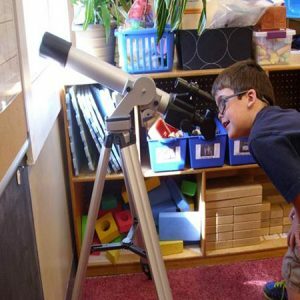 Northland Early Education Center has a before and after school program for school-aged children age’s six to 14 who have special needs. What are your fees for privately paid therapy services? 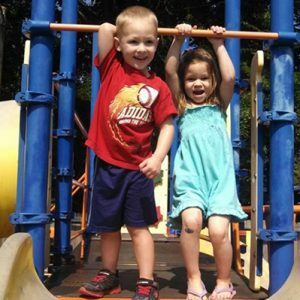 When families choose to send their children to Physical, Speech or Occupational Therapy or Special Instruction beyond what Missouri First Steps or DMH recommends or if the child no longer qualifies for Missouri First Steps or DMH funding and they would like to continue services, NEEC’s charge is $75 per hour. Do you have a high staff turnover rate?